Inspire kids to choose the social causes they care about and take action themselves. 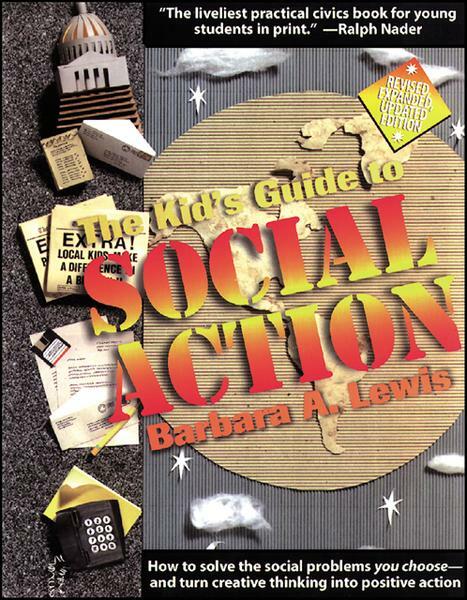 Compelling, empowering, and packed with information, The Kid’s Guide to Social Action is the ultimate guide for kids who want to make a difference in the world. 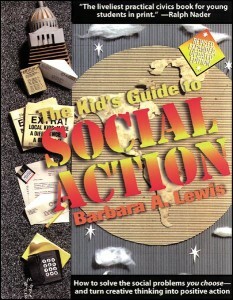 First published in 1991, this book has helped thousands of young people get involved, get noticed, and get results. It has won awards from Parenting Magazine (“Outstanding Children’s Book, Reading-Magic Awards”) and the American Library Association (“Best of the Best for Children”). 25 reproducible forms make it easy to circulate petitions, initiate proclamations, and prepare news releases Ideas for working with government, including tips for lobbying local, state, and federal lawmakers, and for using social action skills with the courts Resources point the way toward government offices, groups, organizations, Web sites, and books. Designed for kids to use on their own, this creative book is also ideal for schools, clubs, groups, troops, and youth organizations.